An excellent few weeks, which saw the culmination of my year as Staffordshire Poet Laureate came to an end as I gave an account of my year at an event at Baswich Library in Stafford on National Poetry Day, before handing over to my successor Tom Wyre, I wish Tom all the very best in the role and my advice is for him to sculpt his own place in Staffordshire poetry. The weeks in the run up to National Poetry Day saw many workshops with a range of groups and ages which saw the creation of some wonderful poetry to celebrate our towns and their rich characters built upon a history of often violent conflict to uncertain peace to today’s commercial theatre with its banal slogans and constant sales. It seems like only yesterday that my first Commission was performed on the Streets of Tamworth, but it is 12 months ago, to the day, if not the date which is tomorrow, 30th October. 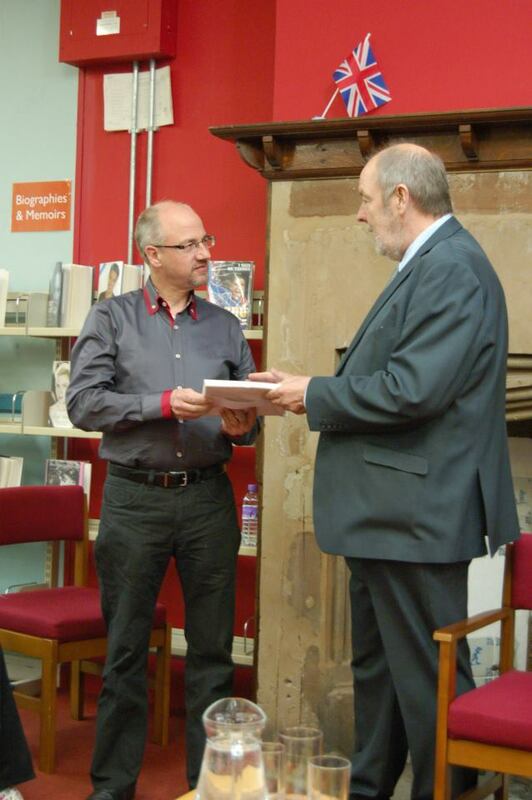 A full account of my time as Staffordshire Poet Laureate will be published on a permanent blog over the coming weeks. I move on now to support Tom and also to mentor the Staffordshire and Stoke On Trent Young Poet Laureate, Natalie Cotterill from Lichfield. I also move on to take up my role as Joint Artistic Director of Fired Up Theatre, for which I have already started with the script for The Fell Walker. My role is to focus on Literature and to bring new writing to the stage, which does not just include my writing, I am hoping to open up opportunities for others to develop their skills in taking a piece from page to stage. Simon Quinn also brings an excellent writing pedigree to the company which he founded and has run since 2004. He is an excellent theatre director and devisor of theatrical productions. This builds our working relationship from our previous collaborations on the Wall, Colin Grazier Enigma, Quadrophenia and more recently 23 which saw me take the lead in directing for the first time. So on to the Fell Walker. An adaption of the book by Michael Wood. Directed by Simon Quinn and Mal Dewhirst. Premier at Penrith Playhouse on 17th January 2014 – with further dates and theatres to be added. 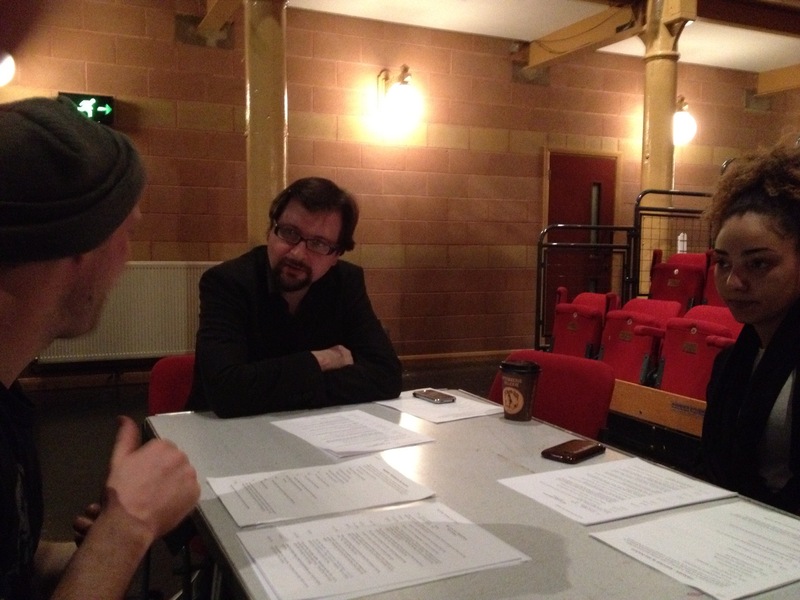 Work on the script continues into the rehearsals, as we create the visual representation as a film noir on the stage. 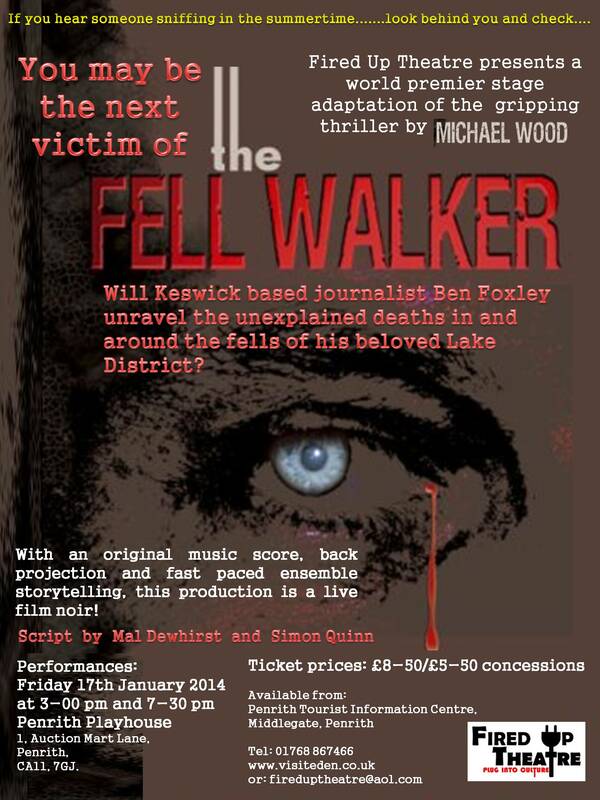 The play sees Local Journalist, Ben Foxley, caught up in investigating a series of deaths that take place on the Lake District Fells, with the authorities taking the view that these are just accidents, whilst a mysterious London journalist, Sophie Lund, thinks otherwise and tempts Ben into being her local eyes and ears as the evidence unfolds. The piece is now fully cast and the rehearsals have begun, to bring this chilling piece to life. Simon Quinn and I journeyed up to Cumbria to meet with the Michael Head who manages the Penrith Playhouse theatre. This is a gem of a theatre, built in an old auction mart, the theatre’s main auditorium seats 150 and is fully equipped for our purposes, including projections, lighting and sound. We also met with Michael Wood the author of the book, who is keen to see how we would adapt his book. I don’t think he is convinced that we can do it, I hope he appreciates what he sees as the production develops. I will be working to complete the script over the next couple of weeks and then move onto creating the sounds and the projections. 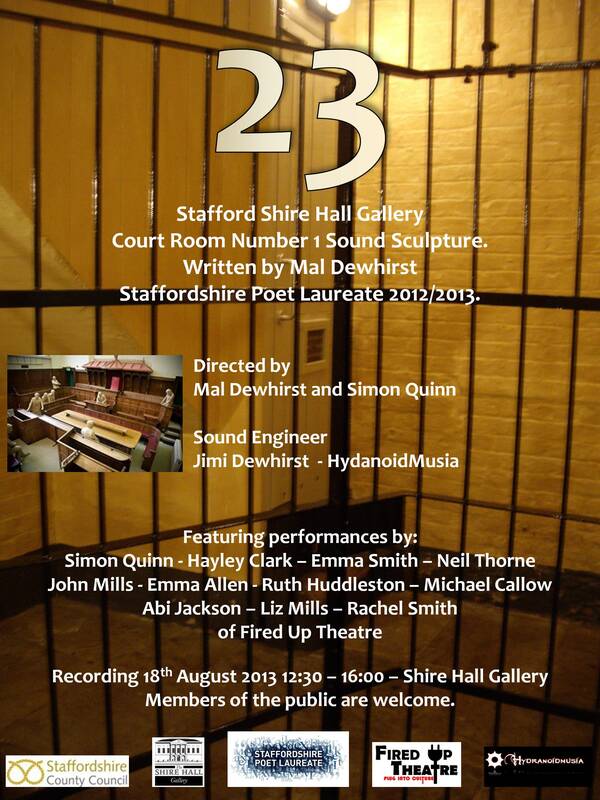 All lines from 23, my poetic sound sculpture that brings the voices of the condemned men and women who had the misfortune to appear before the court at Shire Hall in Stafford. The piece is now completed and in the final mastering phases of the production and I must say I am really pleased with the soundscape, with its repetitive court procedures broken by the words of the person in the dock. The characters whose voices are heard represent many different people who were brought before the court for committing of similar crimes. There is the bread thief, the coal thief, the murder, the coin clipper and the habitual drunkard all giving us an insight into their lives and the reasons or denials for the crimes for which they have been charged. We also include some insights from the Clerk and his wife. These are all set at around 1850, when court cases lasted and average of eight minutes and the mere fact that you had found yourself in the dock was a sure sign that you were guilty. The piece draws its inspiration from the photographs and case files held by the county archive service. The voices were provided by local actors from the Fired Up Theatre Company and I was keen to get the voices to be local dialect voices from Staffordshire and on 23 we hear Tamworth, Stone and Black Country voices along with some voices from outside of the county for some of the officials. The day of recording was most enjoyable we had some real fun with the piece, despite its seriousness and there is perhaps a second sound sculpture of the outtakes, which may someday be heard as echoes in the annals of Staffordshire history. The piece will become a permanent installation and I will advise you as to when it will be unveiled. My Poem Jerusalem Revisited (Blake Dub) was published in the magazine Here Come Everyone. The poem is my reflection on whether we ever built the New Jerusalem that Blake predicted and if we did, then where did it go as we grow in a post industrial Britain. Also check out their next theme “Idiots” and submit a poem, article or short story. Recently I attended two great events. Being Human – Coventry Belgrade Studio. Friday 18th saw a performance of Being Human in Coventry, this production has always been something I think works really well, creating a theatrical narrative from 35 of the poems published in Bloodaxe’s anthology of the same name. This should not be confused with the BBC TV programme. This is the second time I have seen it and it stirred up the same emotions as to when I first saw it and review it back in 2012. Miners Hymns – Polesworth Memorial Hall. Miners Hymns is a collage of film clips from the North East Coal Fields that are sewn together to create a narrative on the lives of mining families. 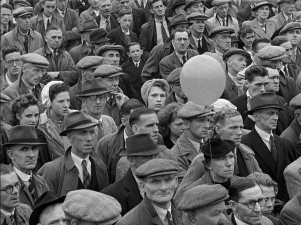 The seamless movement from the awkward delight of the participants at the Durham Miners Gala in the 1930’s to an awkward moodiness of a Gala from the 1950’s or 60’s, shows the change that suggests a growing uncertainty in the mining communities. The film is excavated from the BFI archives and was dug out and constructed by American Film maker Bill Morrison. With an original score by the Icelandic composer Johann Johannson that draws on brass band traditions, with its signature minor keys that strikes a lost pride into the mourned sadness. The whole film revives the memories of the mining heritage to create a hypnotic experience which laments the loss of an industry, its jobs and its communities. Shown here in Polesworth, which was once at the heart of the North Warwickshire Coalfield and now reflects on its own losses as nearby, the final pit, Daw Mill closes. The film with its images from the Battle of Orgreave, which sounded the final whistle on many mining lives, to the building Stadium of light, on the site of Monkswearmouth Colliery, reflecting the new, supposedly out of the mining heritage. This, along with the old Gala’s, the pit work and life was all a powerful statement on the decline of industrial Britain but for me, whilst it was a very powerful piece that touched my thoughts, on reflection it lacked some of the humour and camaraderie that was prevalent among the miners and the communities, that I gathered from my experience as a poet working with ex-miners and as someone else mention to me on the night. Plus further venues around the country. I met Yvonne Jordon and her husband Mark at the Open Arts awards at Stafford Shire Hall Gallery, I was commissioned to read my poem all around the shire and Yvonne had won the Stafford Railway Building Society award for her photograph ‘LAT 52816589 LONG 2119577’, an atmospheric street view taken at night, when the world is still, or is it. We have had few conversations since and I am planning to use some of her work in the projections for The Fell Walker. Take a look are the website and some of the images from her Longitude/Latitude project. 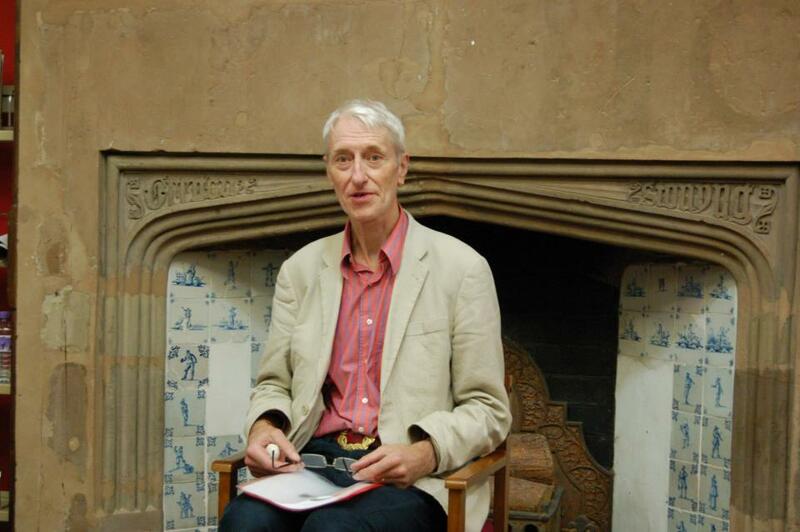 So that is me resting on my Laureate Laurels – as if I ever would! 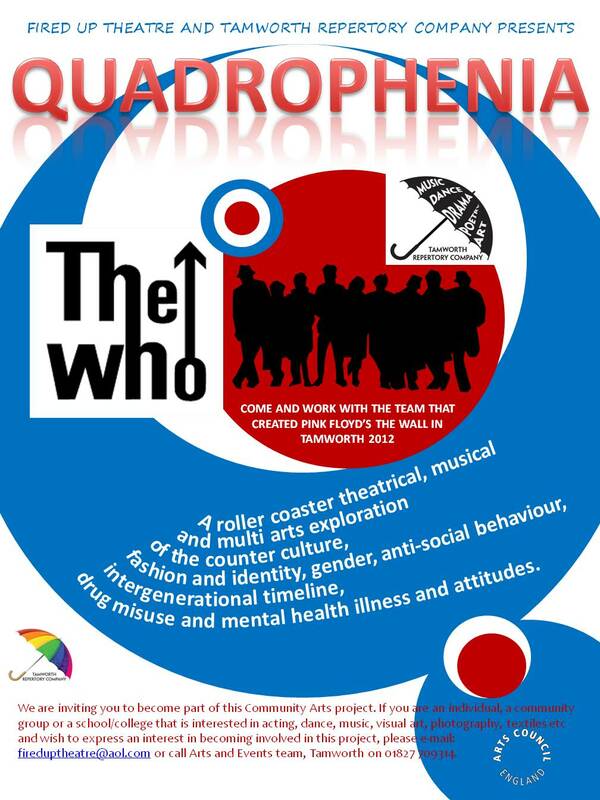 Come and celebrate Christmas with the cast from Quadrophenia. 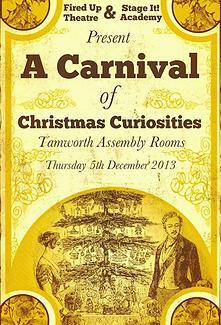 Thursday 5th December 2013 – Assembly Rooms Tamworth. The aches always the aches. THE DANCE still THE DANCE. FINAL VERSION of CGE – JIMI DEWHIRST – HYDRANOID MUSIA. I had to wait until Wednesday until I finally got to see it and a fine piece it was too. The strange pheonominan of being recognised by strangers was also something that entered my experience, being served in shops and being asked “Are you that poet bloke who has done the enigma thing, that was on the telly?” Then going on to tell me how great they thought it was that Colin was being remembered in this way, or that they were related to Colin or Olive. The people of Tamworth know who Colin was and what he did. There is a pride that lives within the psyche of Tamworth. Everyone wants to tell you the Enigma story, they all want to be part of it. Lets hopw they turn up tomorrow evening. My post is late this week due to the final preparations of the technical media, but as I write I can say that both the Music and the Film Projections have been rendered into their final forms. Yesterday saw the cast perform as part of the Colin Grazier Memorial Service which was a pleasant change to the rehearsal schedule, which continued straight afterwards and meant that we could not join the Royal Navy Association for a rum or two afterwards. More rehearsals tonight and tomorrow afternoon with the big performance at 6:00pm starting at the bandstand – then to under the town hall – then to the Almshouses – the to the railway station. A quick drink in the pub before heading to the Market Square for the 2nd act. Do come along if you can, ensuring you wrap up warm and wear shoes suitable for walking. This is a new approach to bringing poetry to new audiences with a FREE promenade theatre piece for all the family. I am also working on a couple of poem commissions as part of my laureateship more of which in the coming weeks. 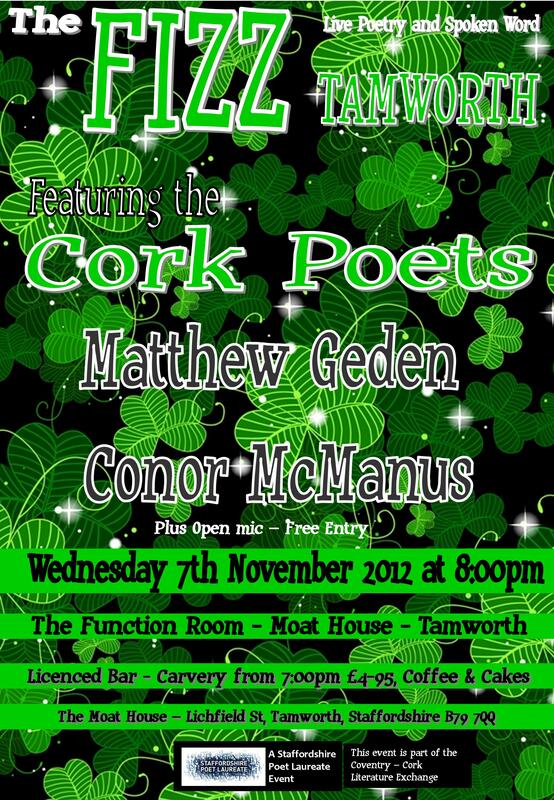 The guest poets will be the CORK POETS, Matthew Geden and Conor McManus with the usual open mic. Free Entry, with a Bar, Coffee and Cakes plus a Carvery from 7:00pm for £4.95. The new writers group that I am supporting in Coleshill attracted 14 writers to the first meeting, where we discussed what they might want to look at over the coming months. Most of the participants are prose writers so we will be focusing on stories – last week we started with setting by exploring ideas around a room that was special to them. Next month we will look at Characters and Conflict, with the December session looking at Plots and Themes. So hopefully over Christmas they can develop a piece for critique in January. Everything else is a little bit on hold at the moment – Although I am working on the Stroke Association Anthology, which may now be launched in the New Year so as not to rush the production. More on this as things get firmed up. 6th Nov – NIGHT BLUE FRUIT TAYLOR JOHN’S– COVENTRY. 16th Nov – SPOKEN WORLDS – BURTON – ON – TRENT. Last week saw a planning meeting with the Libraries and Arts team to pull together the ideas for my work over the coming twelve months. My themes of Staffordshire Open for Poetry will move ahead with meetings as yet to be arranged with the variety of organisations in the county that have interesting and unusual spaces where we could develop something poetic, I will keep you informed as things progress. Also moving forward is THE LAUREATE SATURDAYS for which a proposal has been put together on what sort of activities could take place. These will create special days of poetry in the towns of Staffordshire, this could be something major such as events in the Market place through out the day reminiscent of Nuneaton Summer Day of Poetry in 2011 or it could be a smaller event such as a reading or meeting with a specific group. I would really want the representatives of the town to decide. I am keen to speak with the communities to look at their views on Poetry, hopefully to share their poetry and to encourage them to develop their own voices. Not forgetting that my Laureate poem praised each town for their unique virtues, as I saw them. I want the local people to comment on their verse and to correct me where I am wrong. Such that at the end of my year we will have a new poem for Staffordshire. If you are in one of the Staffordshire towns and want to host me for a Saturday then please contact me and we can discuss what we might do. I am also keen to work with local poets and also poets who might want to join me on these Saturdays so please contact me if this is something that interests you. We can have some good fun with this and create some new poetry; it’s got to be a good thing. My first commission to write an uplifting poem that promotes Staffordshire is well underway with the first draft well on the way. This poem will be used at The Staff Conference for Staffordshire County Councils Libraries, Arts and Tourism teams in November. 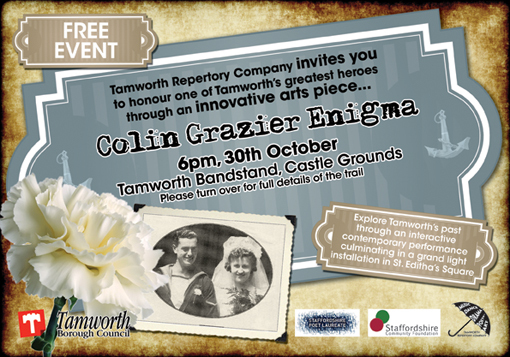 My other commissions which have come through Tamworth Borough Council are also progressing – the Colin Grazier Enigma is discussed below. The town twinning Literature exchange is also progressing with the key contacts in Vaujours in France and Bad Laasphe in Germany both seeking out their local poets to discuss how this might happen. More news on this as it develops. The deadline for submissions has now passed, with over fifty people submitting, some with many poems or prose pieces, which I and the reviewers from the Stroke Association will now go through to select which one’s to be included in the Anthology. There were some really clever takes on the theme, more of which I will discuss when we get closer to the launch. A big thank you to everyone who has contributed. My Poetry play the Colin Grazier Enigma, rehearsals continue with the added pressures of needing to add in two, part performances in the run up to the 30th October. One of which I will tell you about next week. The soundtrack is complete and I will be collecting it from Jimi tonight. The projections however have hit a snag. Whilst the composite images of the dark silhouette of HMS Petard and the sea taken from the ferry are all rendered and complete, it is the typing of the text over the image that is proving difficult. I would have though Sony Vegas Movie Studio would have a plug in that you just dropped the text in and clicked to scroll it left and away you go. No you can use the titles and text plug in with key frames (I lost you a few minutes ago, didn’t I, I can tell) but anyway that does not work, well not quite true, I did mange to get it to work, but I don’t know how and so can replicate it. I am searching out alternatives and any ideas from the film world would be most welcome. How do you simulate a typewriter on a film using Sony Vegas Movie Studio or alternative plug-in? A bit of panic and still a busy time ahead. Before you shout about me abandoning Polesworth, the move is purely due to the usual venues being unavailable on the night. I do plan to keep the event at Polesworth but also to introduce alternate nights in Tamworth, making this a monthly event rather than the current bi-monthly evening. 19th Oct – Spoken Worlds – Burton-on-Trent. 6th Nov – Night Blue Fruit – Coventry. National Poetry Day saw my inauguration at the First Staffordshire Poet Laureate at Lichfield Library and what a splendid turnout. The evening was opened by Alan Medway from Staffordshire Arts and Library Services who introduced Grevel Lindop who read his wonderful Shugborough Eclogues, following the seasons, through the landscape capturing the essence of place. These are really are wonderful and worth searching out. Sue Ball then introduced the role of the Laureate and the expectations on the holder of the role. Introducing Councillor Pat Corfield to make to presentation. I was very much taken with Cllr Corfield’s enthusiasm for the role and his view that this was the start of something significant. He presented me with two books, one for me to keep and use to write poetry throughout my year, the second for me to write a single poem to hand on to my successor. I then had the opportunity to thank all of those who had support the creation of the role and to lay out some of the ideas that I intend to pursue. My theme of Staffordshire Open for Poetry will see me seek out the spaces that the poetry community can fill with verse in what ever form is appropriate to the place. I also Introduced Laureate Saturdays – when I will visit the towns in Staffordshire to engage with Poets, Communities for readings, workshops and an exploration of local dialects and interests through poetry. 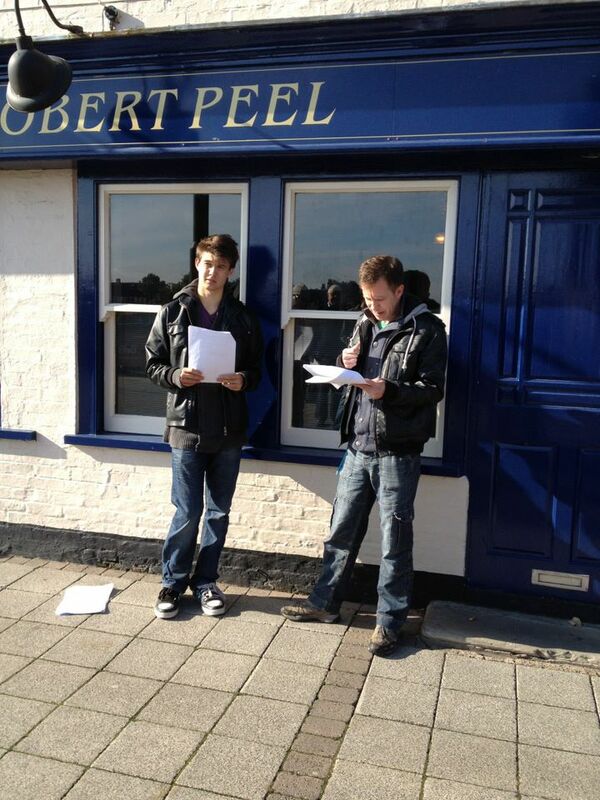 I then read my poems, Memphised, Cobh, Setting and for the first time the complete poem All Sides of the Shire. Creating a Journey across the globe to Staffordshire. The evening was completed by a performance from the Gloucestershire Poet Laureate, Brenda Read Brown, who gave us her unique take on life, love and attending music festivals. All to wonderful effect and to the delight of the gathered company. I have created a page on the menu bar above with the details on how to submit work for this exciting new project, which has already stirred some good interest, with submissions coming in with some really inventive interpretations on the theme of 20. The deadline is tomorrow and pieces can be sent to me at maldewhirst@yahoo.co.uk. 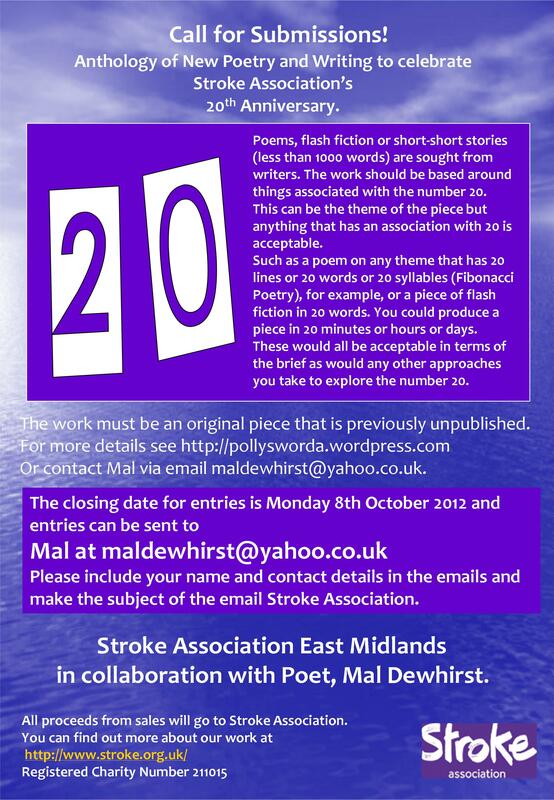 If you have not submitted, yet, then look through your work and find a tenuous link to 20 and send it in. 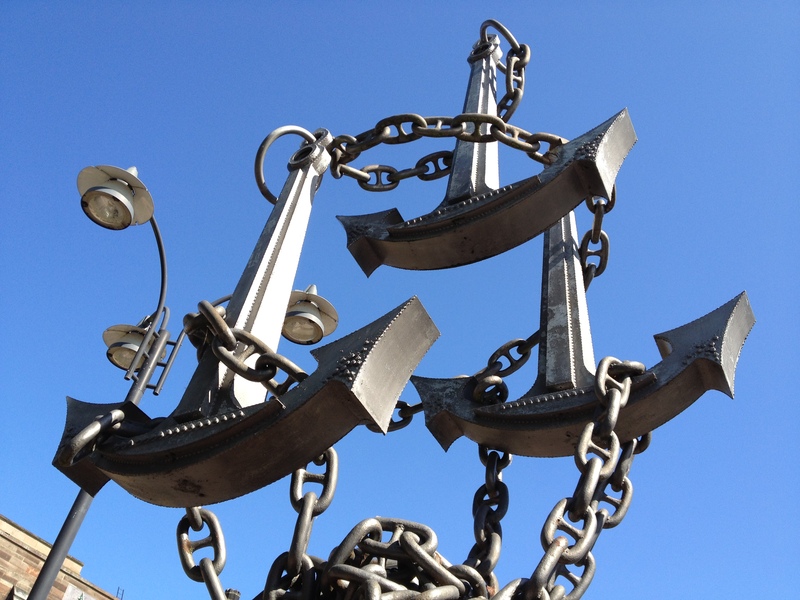 My Poetry play the Colin Grazier Enigma, began rehearsals today, with the sun shining we chose to walk the route of the promenade and rehearse the scenes in the places where they will be performed on the night of the 30th October. 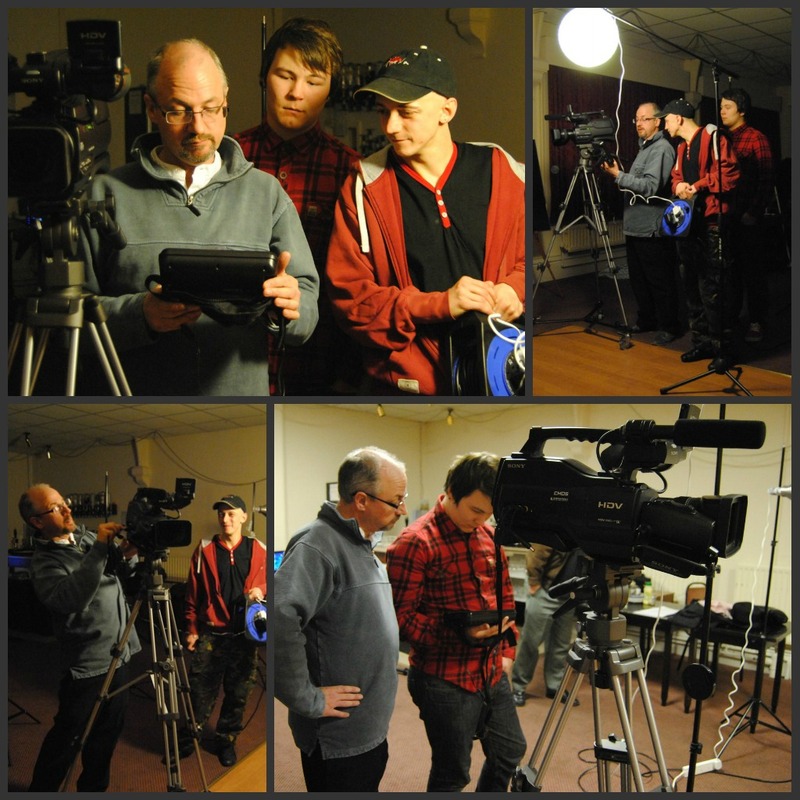 Colin Grazier Enigma – Rehearsals in situ. I am still working on the sounds from the musical soundtrack to the poetry in Morse code, bringing this together with the visuals, part of which was filmed from the ferry on my return from Ireland. Free Entry, with a Bar, Coffee and Cakes plus a Cavery from 7:00pm for £4.95. 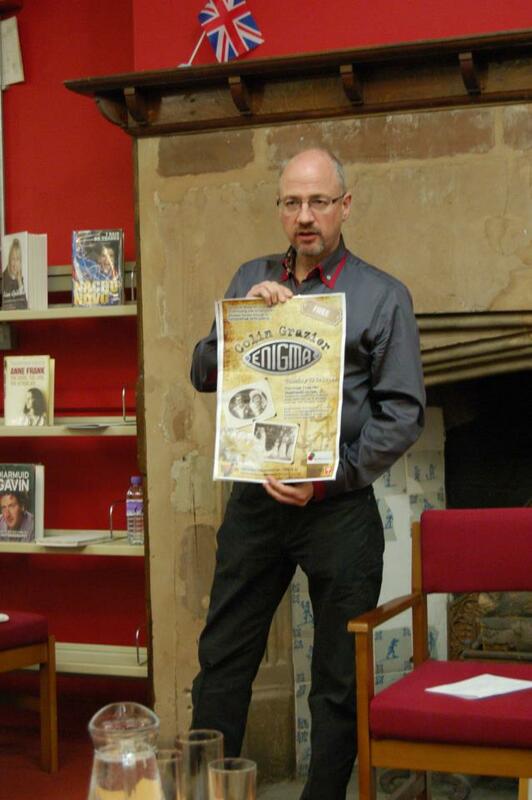 2nd Oct – Poetry Alight – Spark Café – Lichfield. 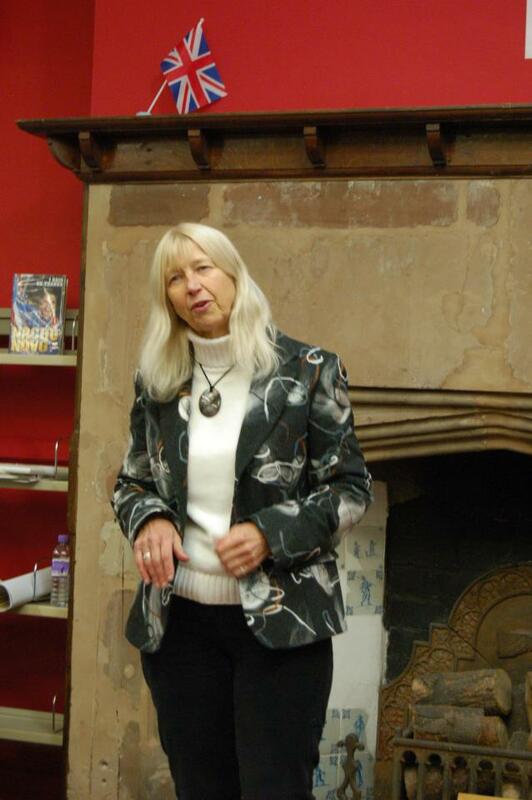 4th Oct – Staffordshire Poet Laureate – The Library Lichfield.